TakkStrip is the simplest way to integrate tactile sensing into your projects. 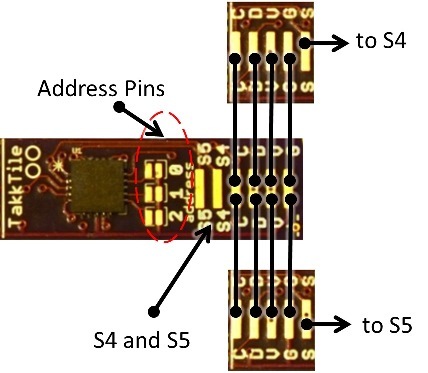 The V2 consists of 6 sensors end-to-end spaced at 8mm spacing, along with a "traffic cop" microchip that allows the entire strip to be accessed over I2C without address conflicts. The "traffic cop" microchip is located on the back of the PCB. If the chips are separated, there are breakouts provided to allow easy soldering back to the traffic cop.